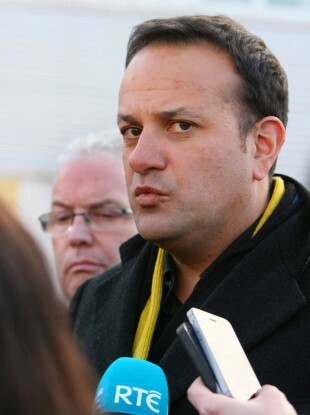 HEALTH MINISTER LEO Varadkar has made some positive noises on the prospect of Renua joining Fine Gael in government, saying that he would “welcome” leader Lucinda Creighton in cabinet. Creighton was appointed as a Fine Gael junior minister at the beginning of the current government’s term, but left the party in opposition to the Protection of Life During Pregnancy Bill. Now, having founded another party, Creighton told Newstalk’s Sunday Show that she is keen to lead Renua into government after the next general election. We want to be in government and I think that marks us out from the vast majority of new small parties or independents who just seem to want to be in opposition critiquing rather than actually sitting in the driving seat trying to implement change. The suggestion that Renua could go into coalition with Fine Gael as a kind of a “watchdog” was put to Varadkar. He rejected the characterisation, but was effusive in his praise of his former colleague. “I don’t know about a watchdog barking or snapping at our heels, but I’d certainly welcome Lucida at cabinet,” he said. I think she’s a politician of real class and ability and I was sorry to lose her from the party but that’s how it is. The minister did, however, claim that it would represent a kind of about-turn on Renua’s behalf. There’s a weird dynamic going on in politics, which I think is a bit strange, that having previously ruled out propping up Fine Gael, Renua now wants now to be our watchdog and Labour seems to want to be our thermostat. For her part, Creighton said that Renua is open to various coalition arangements but rejected the suggestion from Varadkar her that Fine Gael would be their preference. “I have no preference at all Leo, you should listen carefully to what I say,” she responded, adding that she doesn’t think Fine Gael and Labour will have the numbers. .
Email “Could we be in line for a Fine Gael-Renua coalition? Leo seems interested”. Feedback on “Could we be in line for a Fine Gael-Renua coalition? Leo seems interested”.